At William & Mary, we are surrounded by enormously accomplished and ambitious students, faculty, alumni and parents. Our community is comprised of great minds — people who have a passion for impact and who are making the remarkable happen every day in our world. Our For the Bold campaign is bold for one reason: our people. 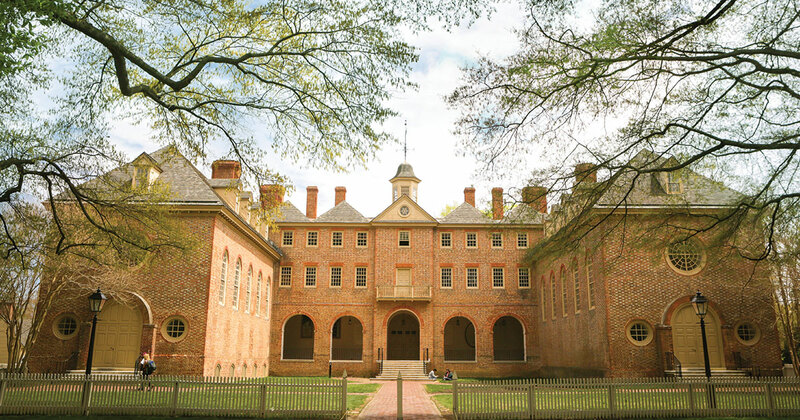 They are the reason why William & Mary remains the gold standard not only for educational excellence but also for engagement and philanthropic efforts. Whether it's on campus, around the nation or globe, our people have galvanized around a bold movement and through their giving are making a difference in the lives of so many. We see their generosity every day and everywhere at William & Mary. 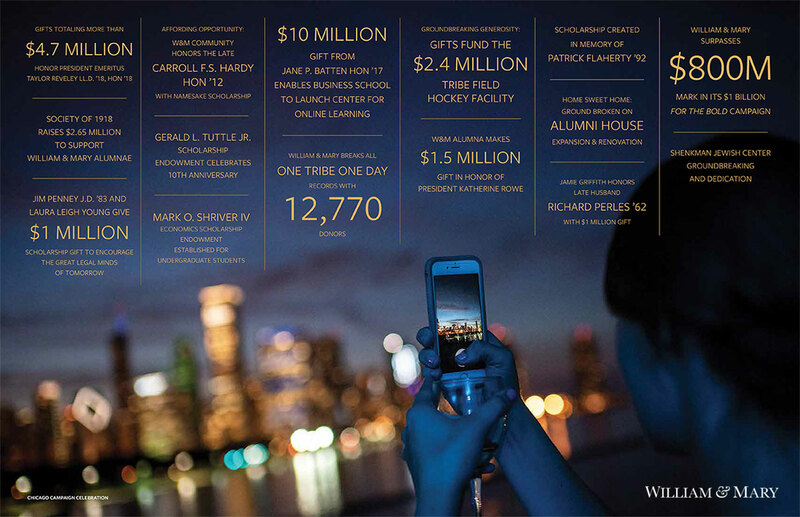 The university has surpassed $800 million, is the No. 1 nationally ranked public university for alumni giving and continues to strengthen alumni ties among each other and with William & Mary. From scholarships, faculty support, collaborative research and initiatives that prepare our students for a rapidly evolving world, the university is thriving because of the generosity of our donors. Here are highlights from 2018.